Do you want to know a good way to motivate yourself to keep good eating habits? Keep a diet log. If you can be honest with yourself, it works. I tried it and it was an eye opener. 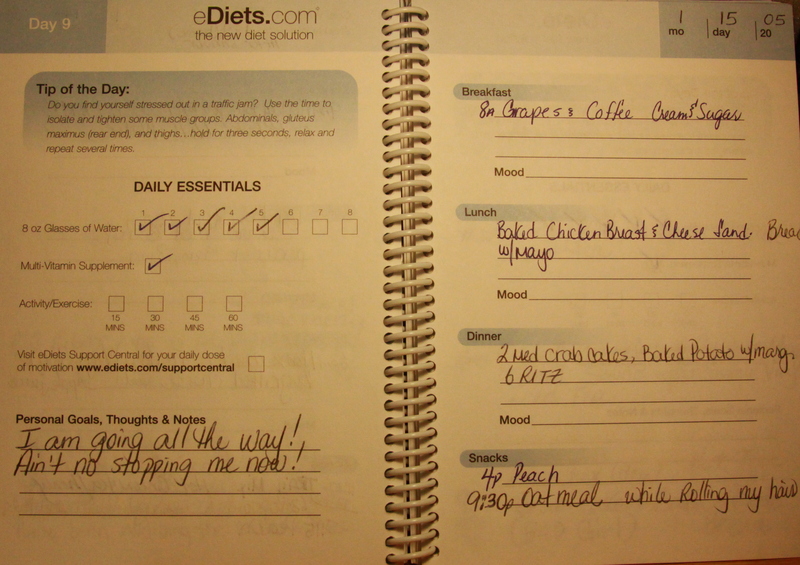 It takes around 3,ooo calories to add a pound of body weight and if you keep a food diary, you can keep track of foods that you don’t necessarily need which add unwanted calories and pounds. There is something about exercise and eating right. Normally, once a person starts an exercise plan, they want top eat the right foods to coincide with the whole health idea. I am going to be a bit transparent and let you take a peek at one of my food entries. This is from 2005. I noticed a pattern, I never work out during the winter and in January I’m freaking out over my weight.